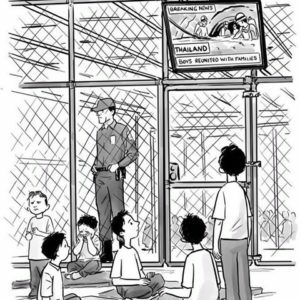 In this episode of the CultureCast, Amy and Christian talk about Jeff Sessions and Romans 13, Thai cave rescues and babies in cages, and free speech and feminism. You’ll hear about how a political cartoon sparked a debate about the difference between the efforts to rescue the soccer team trapped in a cave in Thailand and the relative inaction in regards to the children detained at the US border, Jeff Session’s defense of separating children using Romans 13, and drawing the line between what is and isn’t safe to share online. Christian is joined by Erin Wathen, pastor outside of Kansas City, friend of the podcast, and author of the new book Resist and Persist: Faith and the Fight for Equality. She also runs the Irreverin blog on Patheos. They chat about a feminist response to a culture of deeply ingrained misogyny, how patriarchy is so deeply embedded in our daily lives that it is beyond recognition, the roots of toxic masculinity, how millennial women find traditional feminism off-putting and building brides between different generations, the cross as a symbol of empire, the intersectional effects of patriarchy, and under representation of women in politics. what does addressing patriarchy look like in the age of Trump? 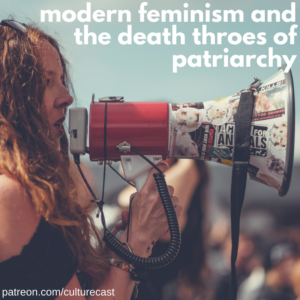 Plus, the motherhood myth, how we understand the different cultural and religious norms for women, and what the faithful response to all of this would even look like.